In this fictional narrative, Benny helps his father make a surprise for Mom! Descriptive text and colorful illustrations will help readers learn the importance of wearing safety gear. Explanatory texts will show that you can have fun making a piece of art out of metal. 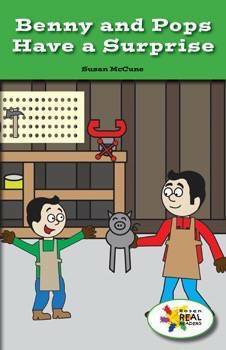 This fiction title is paired with the nonfiction title My Grandfather’s Workshop.